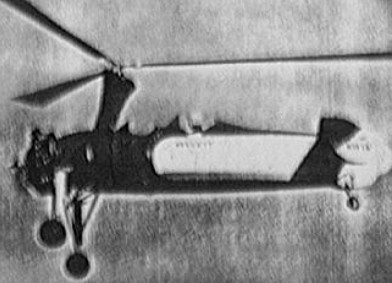 Cierva's C30 series and Pitcairn's PA-22 and Luscombe-built aluminum body PA-36, and the KD-1 series constructed by Kellett Autogiro Company of Philadelphia were capable of jump take-offs and direct-control without wings. Engine: Jacobs L4MA7, 225 hp. Engine: Jacobs L4MA7, 2225 hp.